Since starting out as a Student Beans brand ambassador while at university, Dan has gone on to become a key member of our team as Operations Manager. 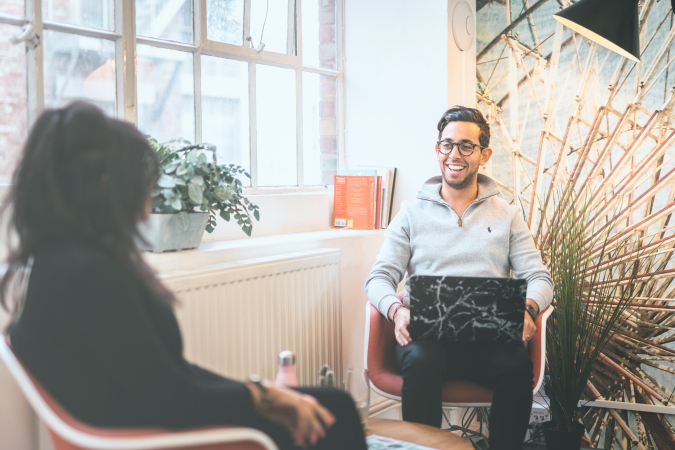 Read on to hear his SB story so far and why he believes Student Beans is a unique and exciting place to work. What has been the highlight of your time at Student Beans so far? Seeing the development of the content strategy. 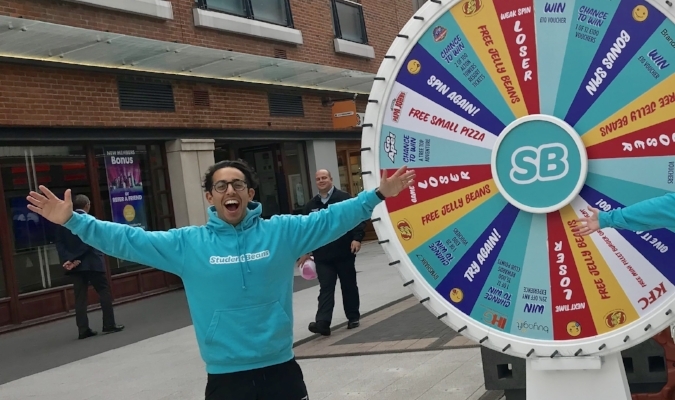 When I joined the business in 2014, Student Beans was widely recognised for a variety of content, including deals, freebies, competitions, editorial, discounts, jobs etc. As the business has scaled over the past few years, it has been extremely important to have total clarity in our business proposition. Fast forward the clock and it's never been clearer who we are and what we offer. Student Beans is a student discount platform, offering 500+ online and in-store student discounts from the brands that young people love. We provide a global student verification that can verify 163 million students in 52 different countries. Having such a well defined strategy has been the catalyst in enabling partnerships with a huge list of awesome brands such as Gymshark, Domino's Pizza, Topshop, Google, Samsung and many more. In my role as Operations Manager, I have been directly involved in implementing our global content strategy and I thoroughly enjoy the new opportunities that have arisen as a result of these strategic decisions. What are you most looking forward to at work in 2018? Freshers 2018 - it's going to be absolutely huge. This year I am responsible for managing both our online and offline Freshers campaigns. It's a really exciting period and we have loads of big student campaigns lined up with the likes of Amazon, Apple, KFC, OnePlus, Currys - as well as many more. With this being my fourth Freshers since joining the business, I am excited to see the heights we can reach this time around. What do you think sets Student Beans apart from other companies in the sector? It has to be our core values. The Student Beans values define our culture. Every day, goals are celebrated with a notion of togetherness, celebrating both individual success and the pride in the mission we are all on together. Without each and every individual’s contribution to daily office life, this wouldn't be possible. My personal favourite of the Student Beans values has to be 'choose positivity.' This is something I feel extremely passionate about and I am pretty sure my colleagues would vouch for my attitude towards this particular value. Having a can-do mentality towards daily responsibilities is really important. Having a positive nature is really important in the workplace, so in my eyes being approachable/friendly while at work is a must. What’s the no. 1 thing that makes you stay at Student Beans? The culture. Many of my friends dread going to work. For me, that couldn't be further from the truth. Student Beans manages to create an environment that bursts with joy, positivity and friendship. We do a lot together socially, such as pub trips, summer and Christmas parties, lunch trips exploring Kentish Town, picnics and more. I am also proud to share that I was a founding member of FC Beanselona (arguably the strongest five-a-side football squad to ever walk the planet), who got promoted in the 2016-2017 season. Student Beans is genuinely an awesome place to work. Oh, and the ping pong table, foosball table, pumping music, gym membership, bean bags and flexi time certainly help! What would you say to someone who was considering applying for a role at Student Beans? We are on a really exciting journey and we're only just getting started. From walking the streets in Leeds handing out Student Beans leaflets during my student days, to now managing our global operations function, the opportunities the business has presented and continue to present are endless. As we continue to rapidly expand on a global scale, with offices in almost every corner of the world, now is the perfect time to get involved! 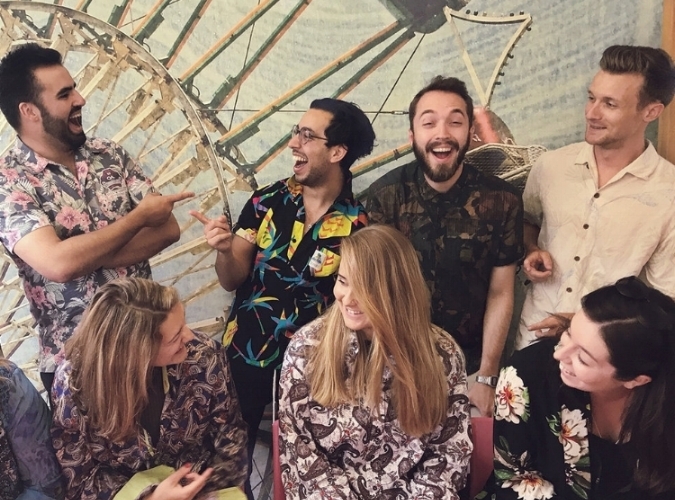 Click here to find out more about life at Student Beans and our current career opportunities.